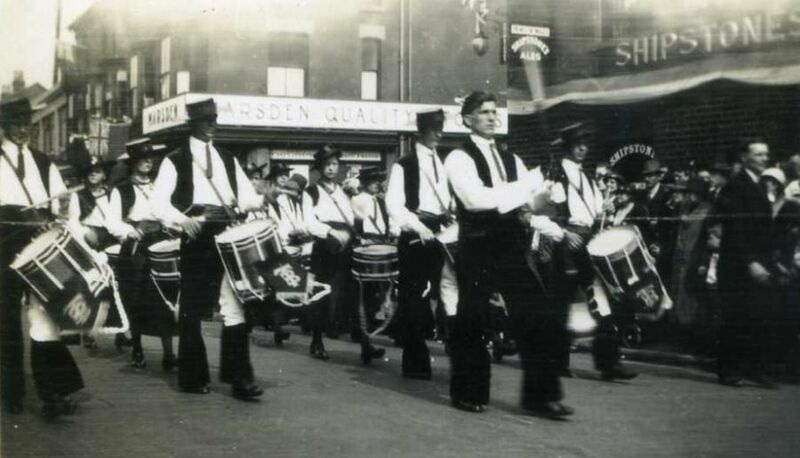 The Toreadors Carnival Band taking part in a parade in Beeston, possibly on the occasion of the Coronation of King George VI in May 1937. Here, the band is parading on High Road, passing the top of City Road and the Prince of Wales pub, with Marsdens grocery shop on the other corner. 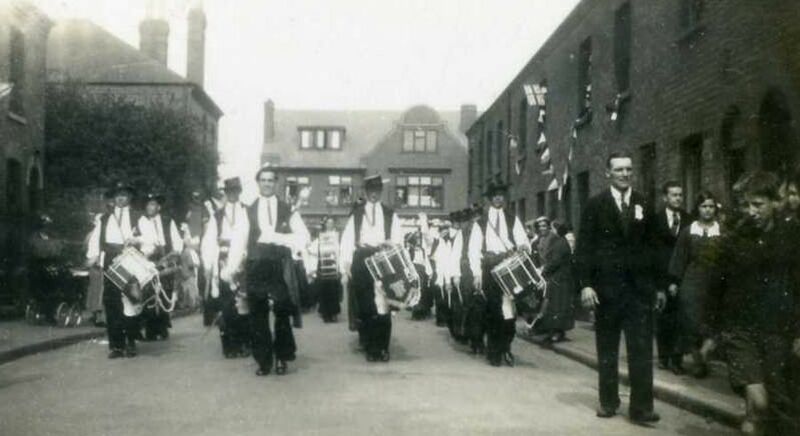 The band on Broughton Street, marching away from Wollaton Road which is seen in the distance. As always, suggestions for names and any other information are invited.